The possibility of adjusting capacity is another essential advantage of the Verticook® barbecue. At maximum capacity, the surface of the firebox is 0,30 m2 (2 x 30 cm x 51 cm), which is bigger than that of many traditional barbecues, even the largest ones. You can thus invite a bunch of people! But this will not stop you from having a small family grill. 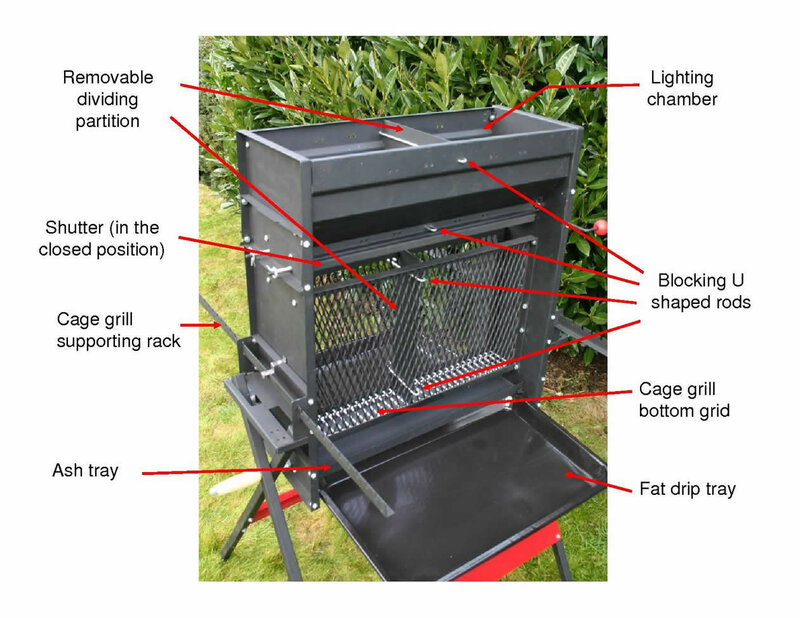 The barbecue Verticook® will adapt to different situations thanks to its modularity. 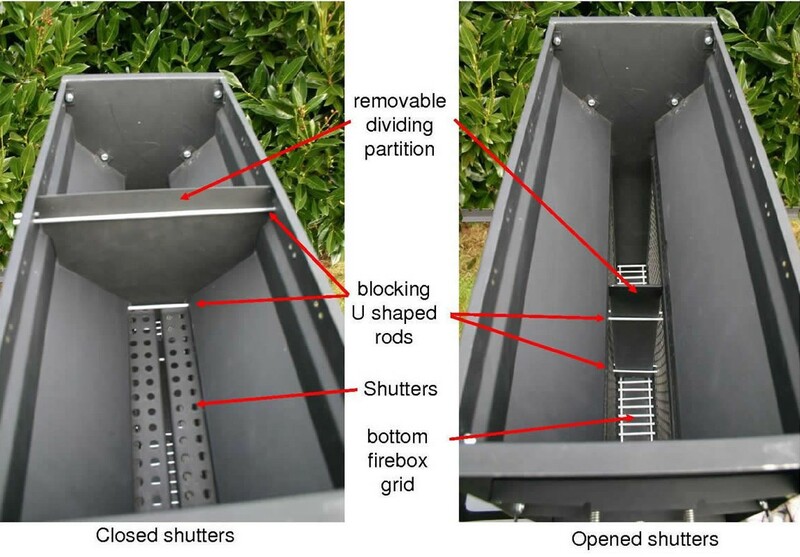 You can decrease the size of the firebox to 75, 50, or 25 % of its maximal capacity. For doing so, two dividing partitions (one in the fire box and one in the lighting chamber) are inserted and blocked with U shaped rods. When the partitioning has been made, the same lighting technique can be applied as if the whole firebox was used. The cage grills are filled up partially so as to have the food positioned in front of the part of the firebox being used. View of Verticook® with the dividing partitions set up for a capacity of 50 %. One dividing partition set is provided with the barbecue. A second dividing partition set can be purchased optionally (see thumbnail “accessories” or “SHOP”).